A high-performance production version of Jaguar’s XF Sportbrake, badged the XFR-S Sportbrake, has been confirmed in recently leaked details. Based on the existing rear-drive XFR-S, the new Sportbrake variant will use the same supercharged 5.0-litre V8, producing 542bhp and 502lb ft, and eight-speed automatic transmission. The new XFR-S Sportbrake is claimed to be capable of 0-60mph in 4.6sec as a result, and will most likely have a top speed in the region of 180mph. List prices for the new Jaguar are reputed to be “just over £80k”, a substantial hike over the current range-topping £52k ‘Diesel S Portfolio’ XJ Sportbrake. The new car will rival the likes of the Mercedes-Benz E63 AMG estate, which costs upwards of £77,885. 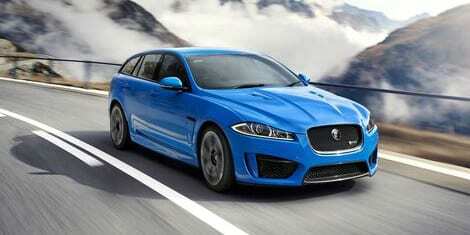 Previously, prototype versions of the XFR-S Sportbrake had been spotted undergoing testing at the Nürburgring.